I have a new tutorial available online – What’s New on the iPad with iOS 12. 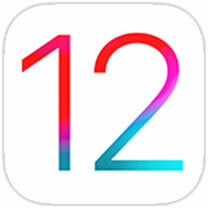 Are you new to iOS 12 on the iPad or do you want to learn what is new before you upgrade your iPad to iOS 12? I can help with What’s New in iOS 12 on the iPad. The lessons cover major features new in iOS 12 including the new screen time and battery usage, schedule Do Not Disturb to turn back off automatically and using Shortcuts. I also cover minor features such as sharing photos with a link and showing icons in Safari tabs. See what’s new in iOS 12 with the iPad with this tutorial.